← Considering or Experiencing a Divorce or Separation? 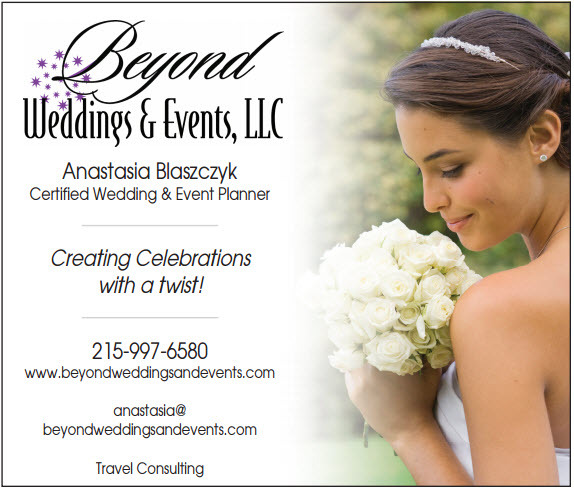 Beyond Weddings and Events is full-service wedding-, event-, and travel- planning company. I design “Celebrations With a Twist” so that your event will stand out from the rest. My goal is to inspire and guide anyone planning a wedding, other event, and more (including travel). A wedding planner is a person who takes charge and plans the details of a wedding from start to finish. The bride and groom are still involved, but most of the work is entrusted to the professional. Isn’t a wedding planner expensive? A good wedding planner has different packages based on budgets and planning needs. I offer several planning packages starting at $750. I am unique in that I offer an Online DYI Planning Package for $350. How can I make any event I host unique—especially at the holidays? Entertaining at home is an event, too. Friends and families receive multiple party invitations, especially around the holidays, so make yours the one that they’re interested in attending by making it a reflection of you. The same elements used in creating a signature wedding apply when entertaining in your home. Create a menu that showcases the foods that you do well. My signature food is dessert. I also enjoy making comfort foods. As a result, I do my best entertaining during the fall and winter seasons. • Consider who your event is for—friends or family? Do any of your guests have dietary restrictions? Do they drink? Are they foodies? Knowing your guests is important. • Determine the purpose of the event. Is it a casual get-together or a formal dinner? Will it be sit-down or buffet? The type of event determines what would be served. • Define why the event is happening. Is it a celebration, holiday party, or a time of mourning? This will impact the atmosphere you create. • Enjoy the event yourself! This is the most important tip when entertaining at home. 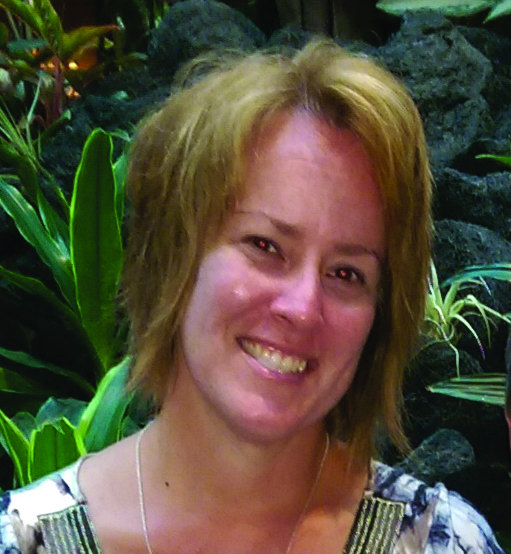 The hostess plays a key role in the success of the event. Take time to plan your outfit, makeup, and hairstyle in advance. Carve out enough time to get ready. Then smile and have fun. Don’t take on so much work that you find yourself stuck in the kitchen or are already stressing about the cleanup afterwards. If you love to entertain but find it overwhelming, consider hiring an event planner. Save time by supplementing your main dish (protein) with prepared sides from a supermarket such as a Wegmans. Use plastic silverware and dinnerware. Costco has china-like dinnerware that looks upscale yet is disposable. For pre- and post-party cleanup, hire a house-cleaning service. You’ve Got Maids offers a Party Planning 101 service. What are some of the benefits of hiring a wedding planner? A wedding planner helps with budgeting, vendor selection, contract interpretation, time management, dress selection, menu design, engagement parties, bridal showers, and emergency management. What is a signature wedding? A signature wedding is based on a couple’s personality and is expressed through the smallest details of the day. It is what makes one event stand out from another. For example, if your heritage is important to you, we will blend those elements into the food, music, entertainment, etc. What is a travel planner? Online travel companies offer great deals, but they will not provide you with any planning services. I have access to all of the popular destinations, including Disney, Sandals, Beaches, Cruise Lines, and others. I can also provide information on how your vacation can help raise money for your fund-raiser or favorite charity. Give me a call about planning your next event or trip. I’d be happy to help! Let us blog about you! Join the BCWJ and become a contributor! Personal Touch Concierge Service is a multi-virtual assistance company that assists businesses and entrepreneurs with the day-to-day operation of their businesses, social media strategy and management, bookkeeping, and website design and maintenance. With over 25 years' experience in the legal and corporate fields, there is virtually nothing we can't accomplish for you. Transcription, word processing, proofreading, administrative duties, scheduling, research, keyword research and implementation, website content writing, email management, event planning - we can assist you with all the tasks you don't have time to do yourself. Because your time is valuable and you have your business to run! This entry was posted in Bucks County, Bucks County Local Paper, Events, Women's Magazine, Women's Newspaper and tagged event planner, event planning, events, wedding planner. Bookmark the permalink.